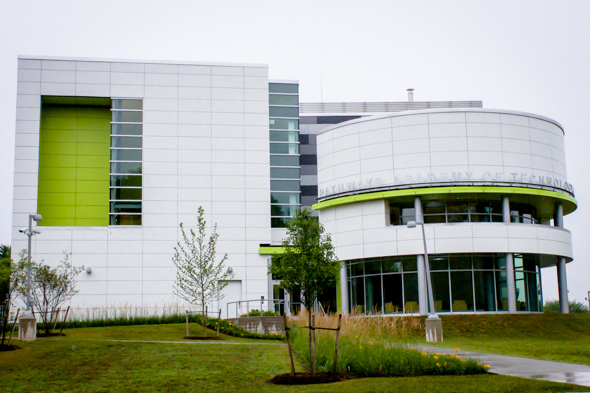 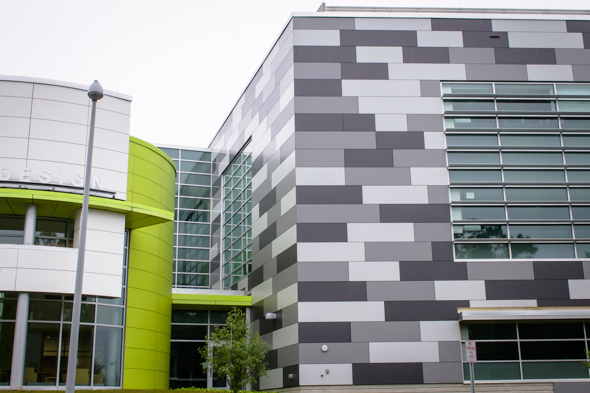 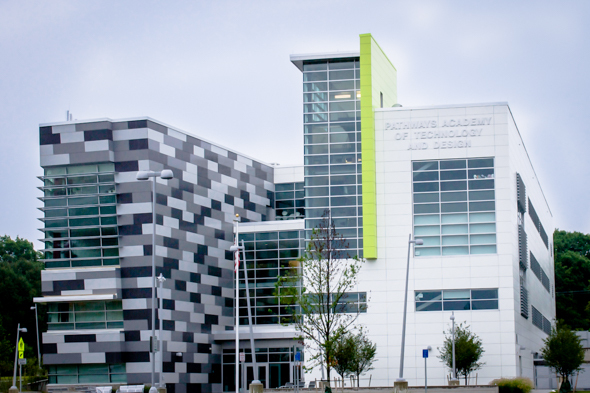 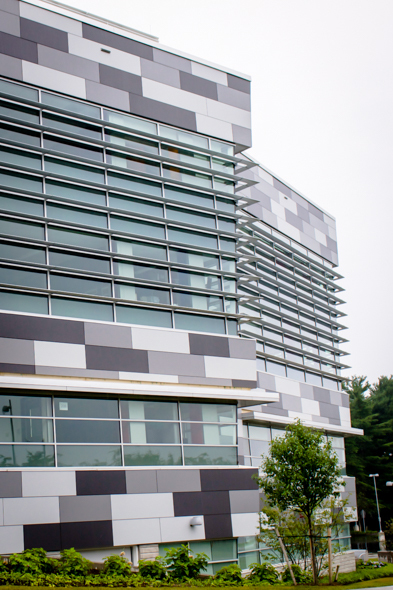 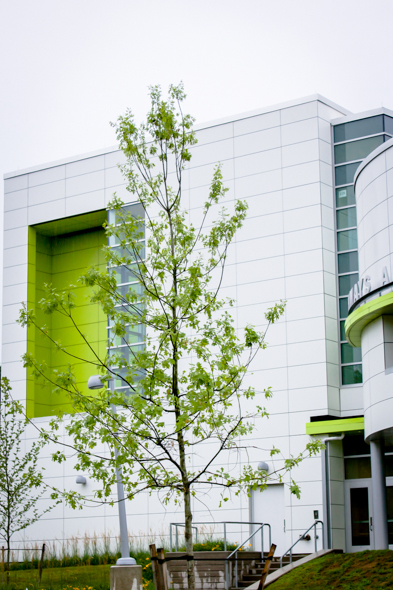 When designing the Academy of Advance Design and Technology, Amenta Emma Architects used Cladding Corp’s Plus5 system on the HPL panels. 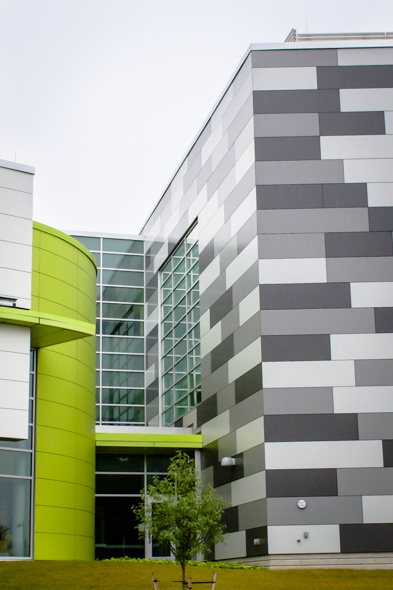 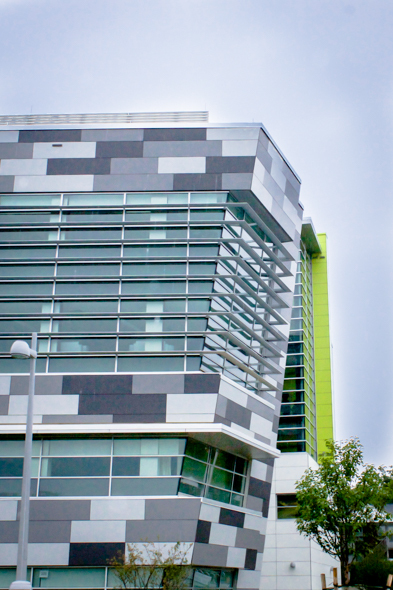 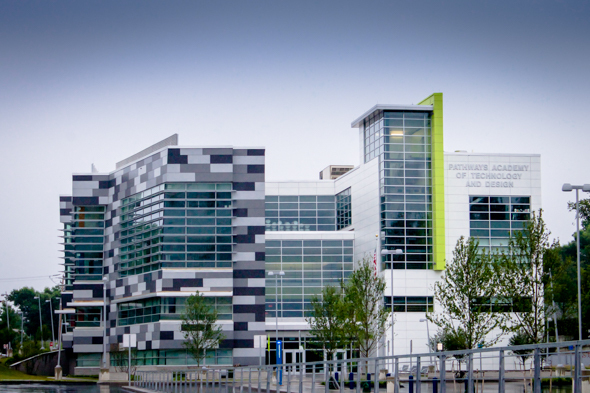 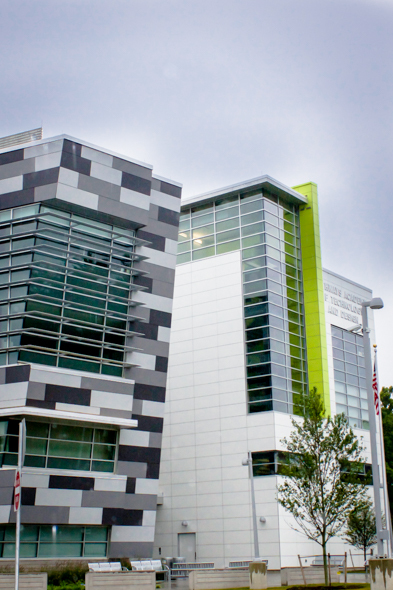 The building features a variety of colors, including green, white and greys. 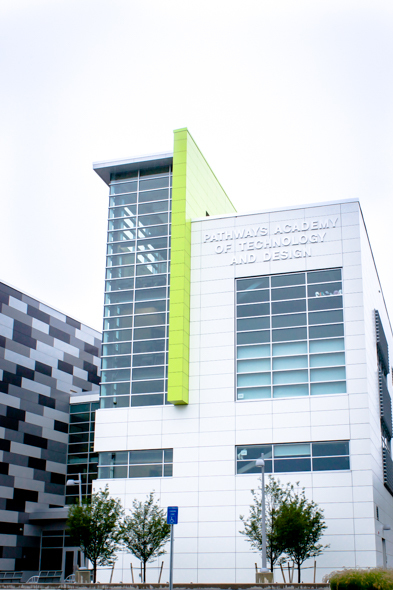 The building also has a unique rounded front entrance.